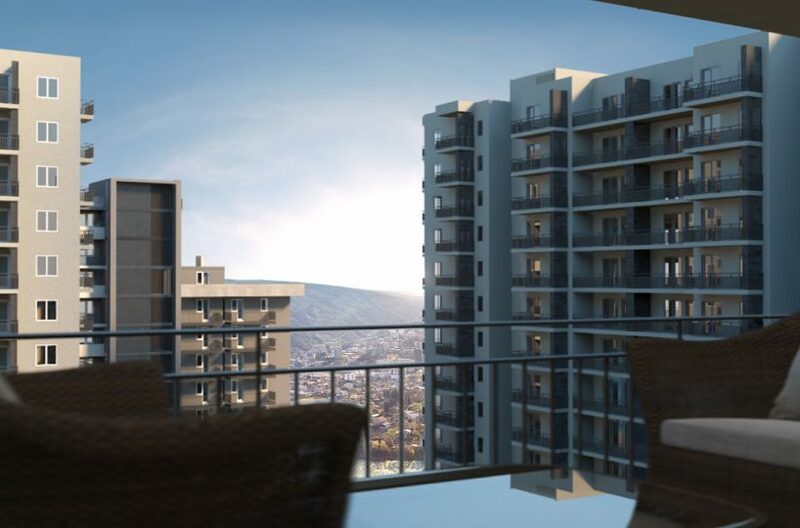 Isani B is the perfect choice for anyone looking for an affordable apartment in a highly convenient location with a whole host of facilities available to owners, including a shopping mall at the base of the complex. 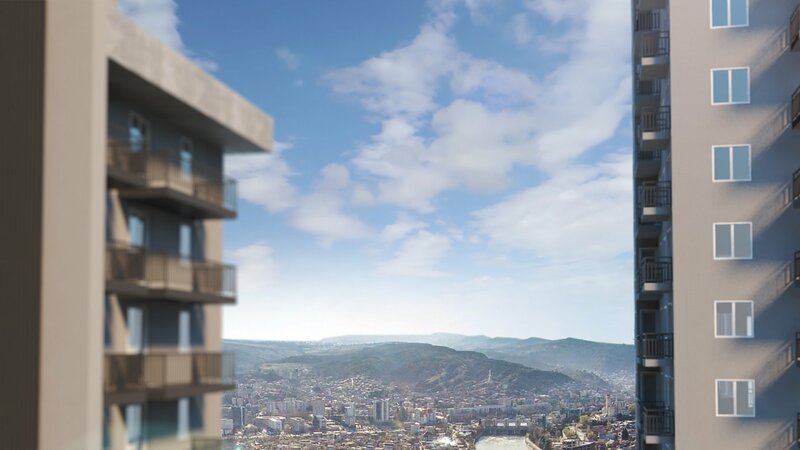 This is the second building in one of the largest projects currently under construction in Tbilisi today. 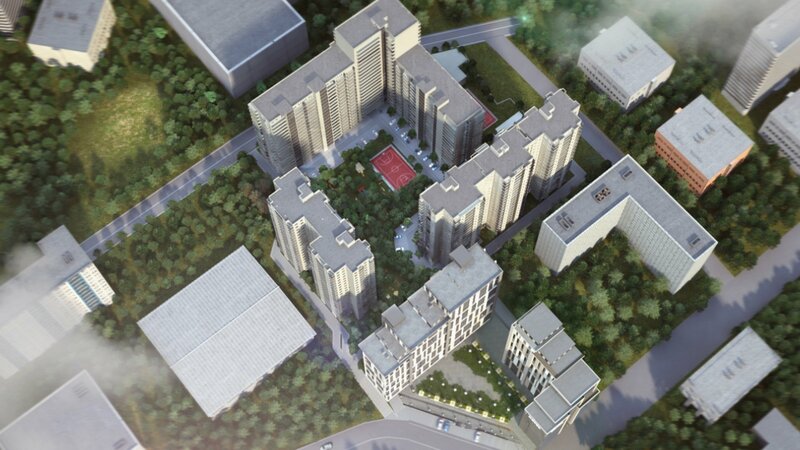 Starting construction in January 2016, the total value of the project is $60 million and, upon completion, will cover an area of 27,000m2. 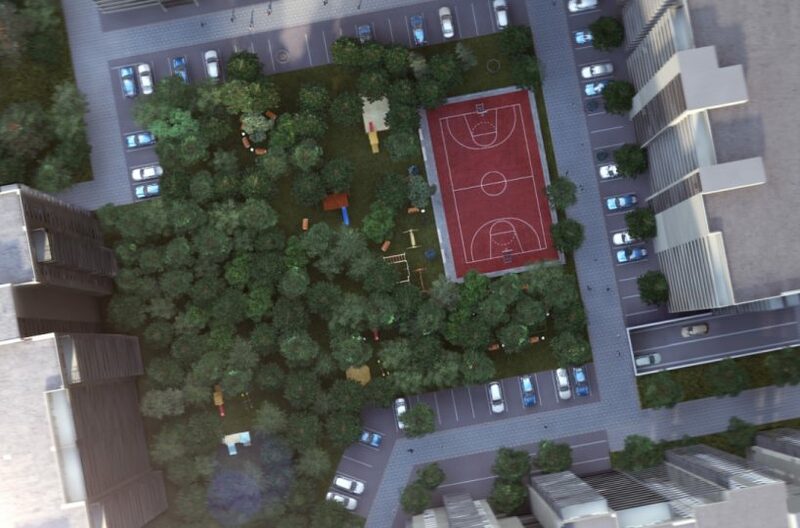 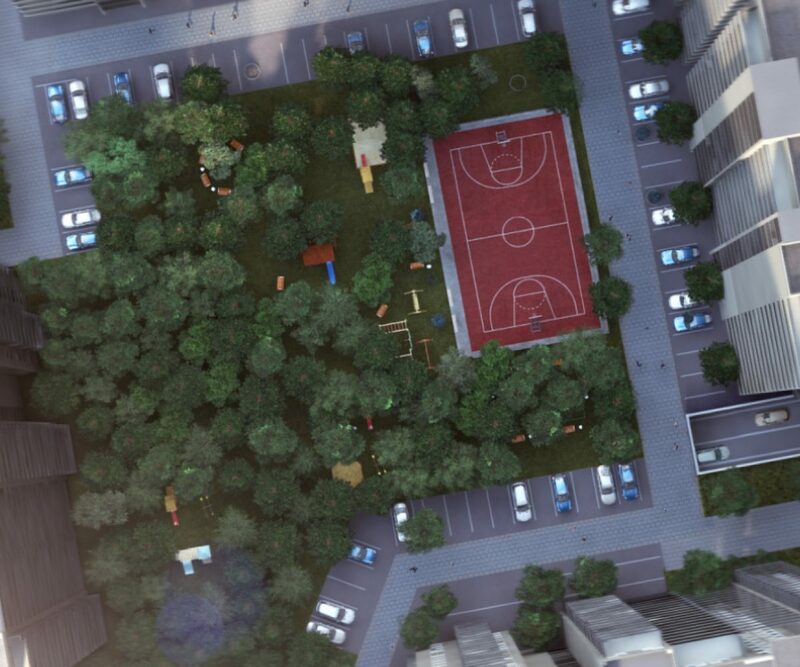 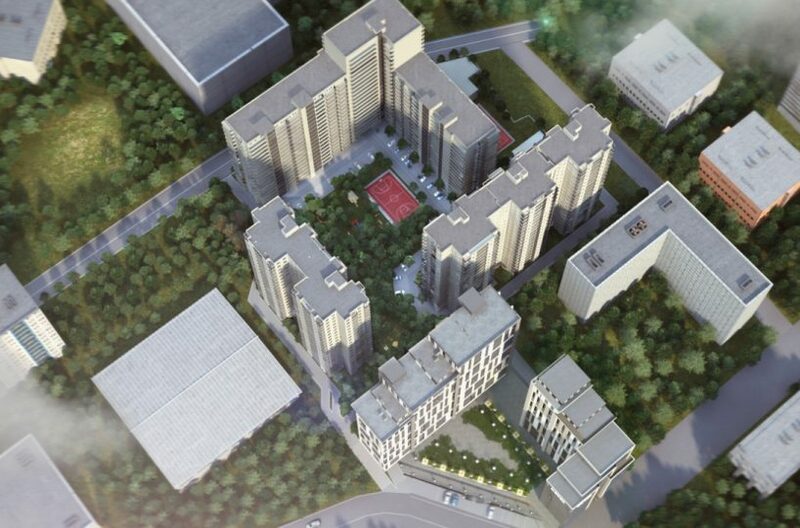 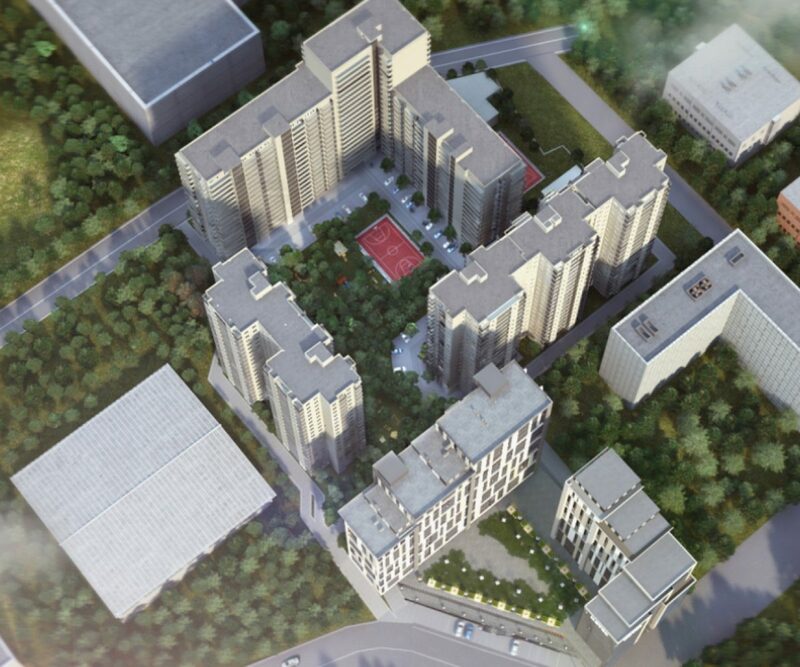 The project will eventually accommodate five separate, high-rise residential buildings, a hotel, shopping mall, school, entertainment centre plus a variety of sports grounds and gardens covering an area of over 10,000m2 – practically a self-contained village. 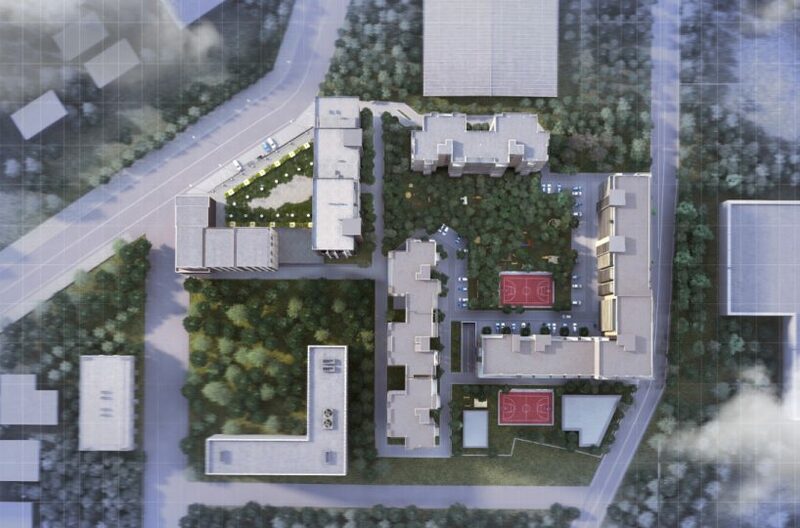 Even before full completion of the entire complex, early residents here will still benefit from excellent facilities right on their doorstep. 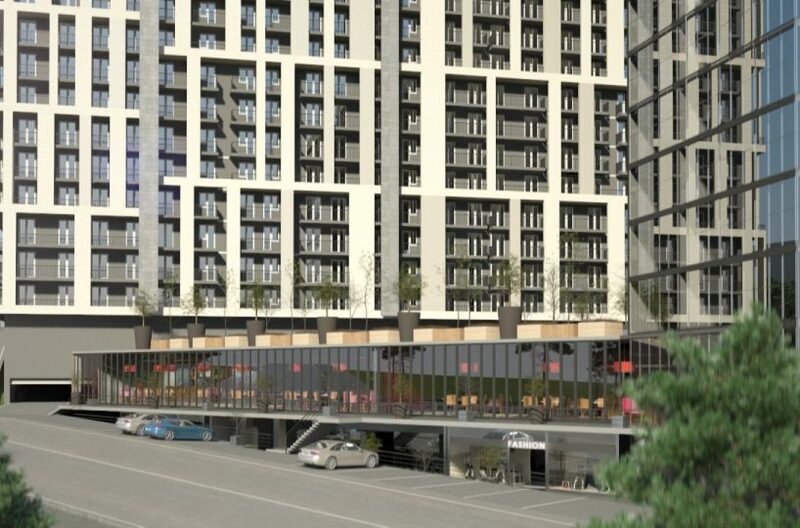 Most important of these facilities is the fact that Isani Metro Station is just five minutes’ walk from here, allowing quick and easy access to all parts of the city. 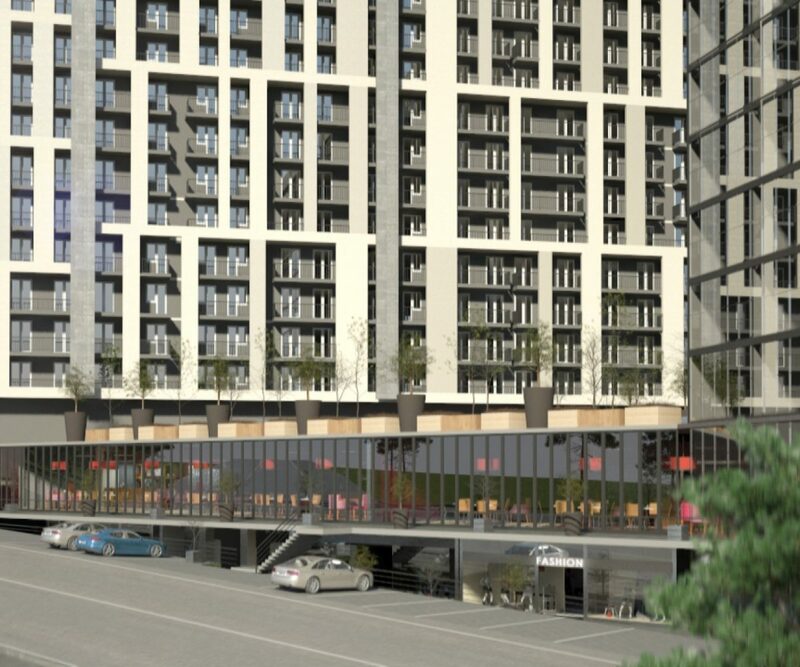 Closer still is the established Isani Mall and Carrefour Market, which are both immediately adjacent to the new project. 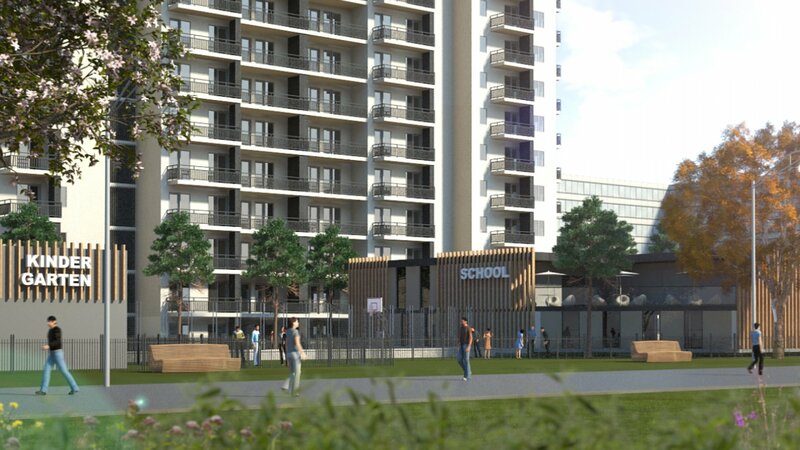 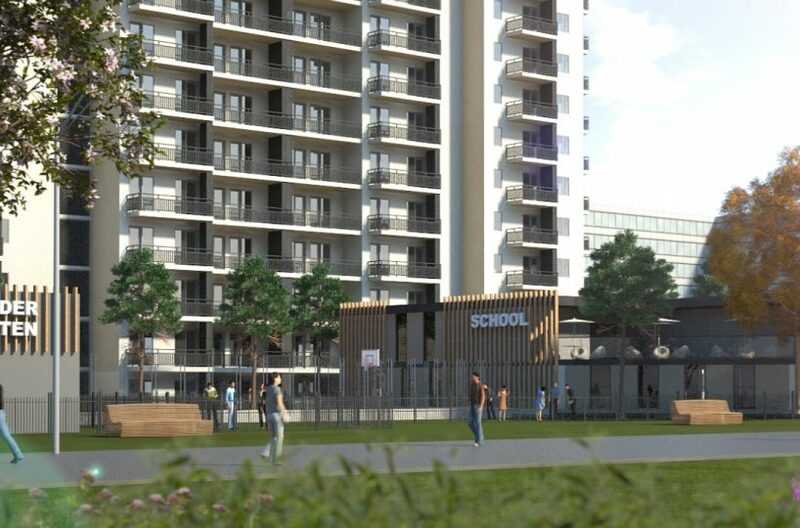 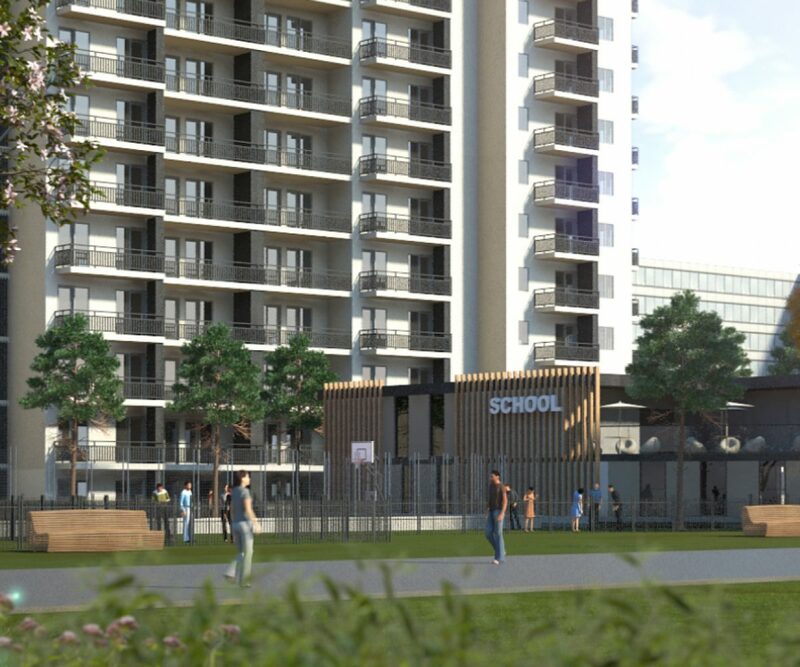 The first building in the project – Isani A – is now fully sold out and will be completed in the summer of 2018. 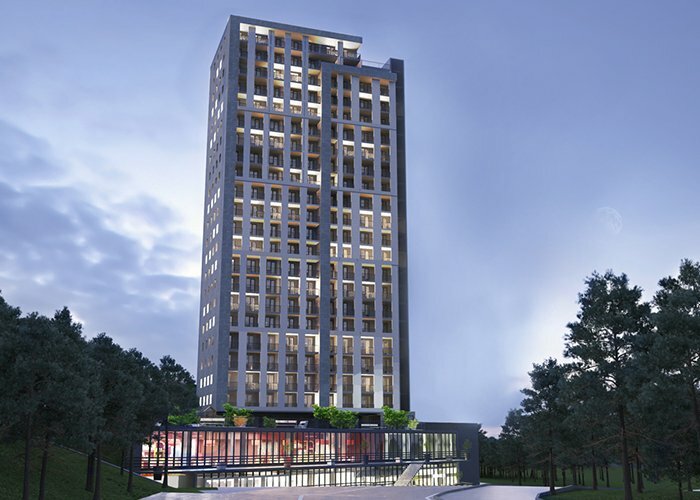 Isani B is already well under construction ahead of a completion date of October 2019. 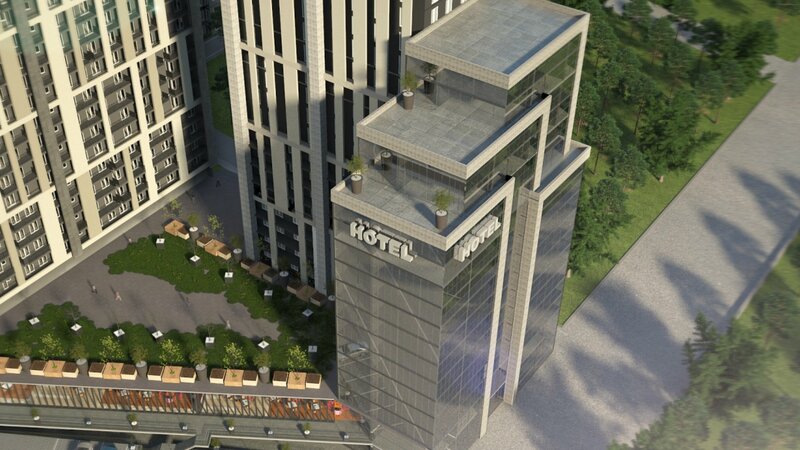 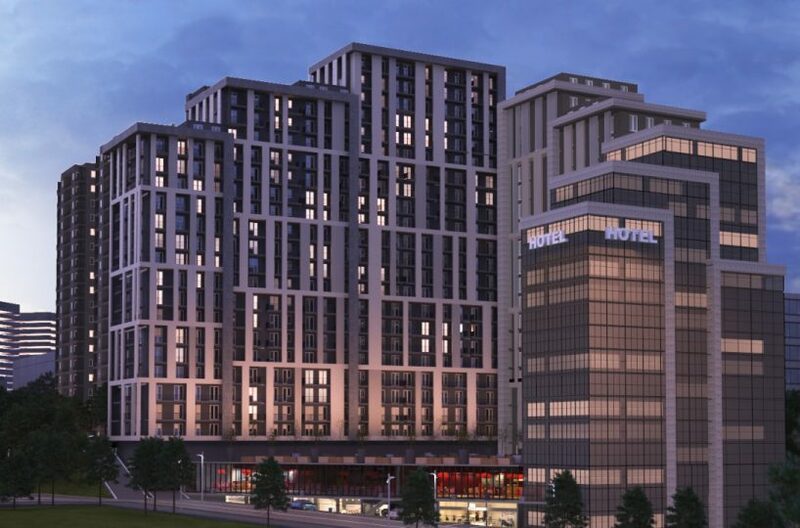 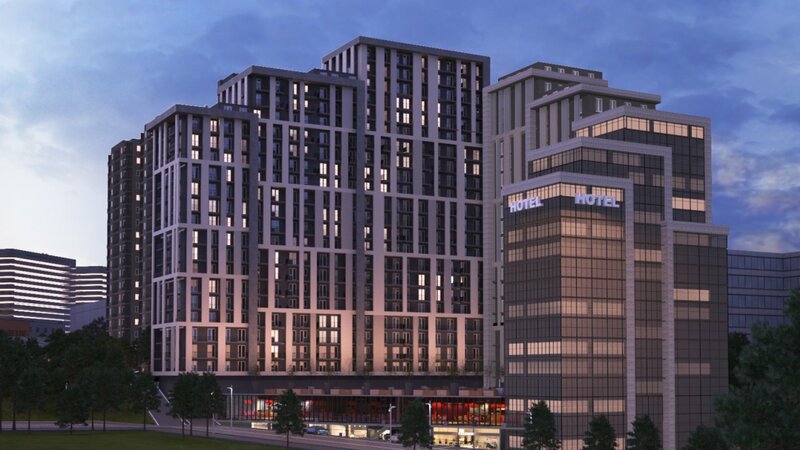 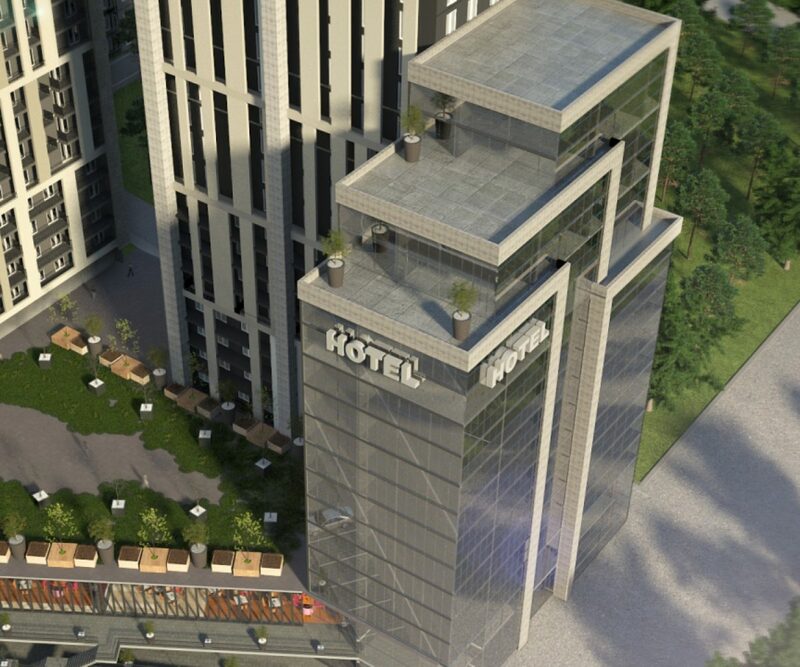 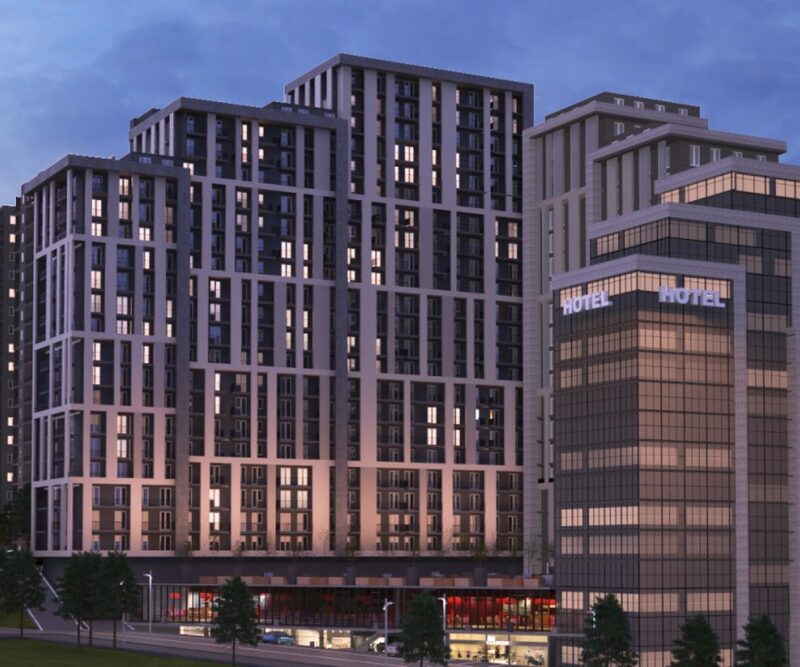 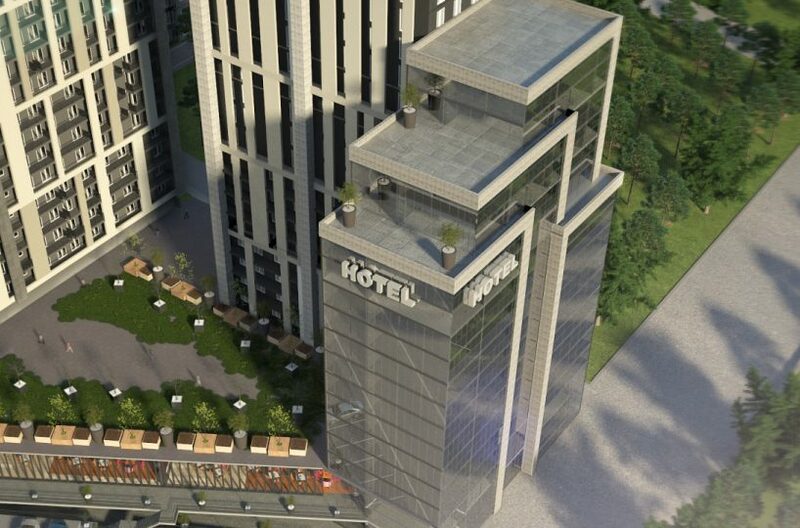 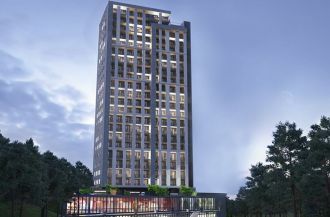 Isani B will stand 21-storeys tall. 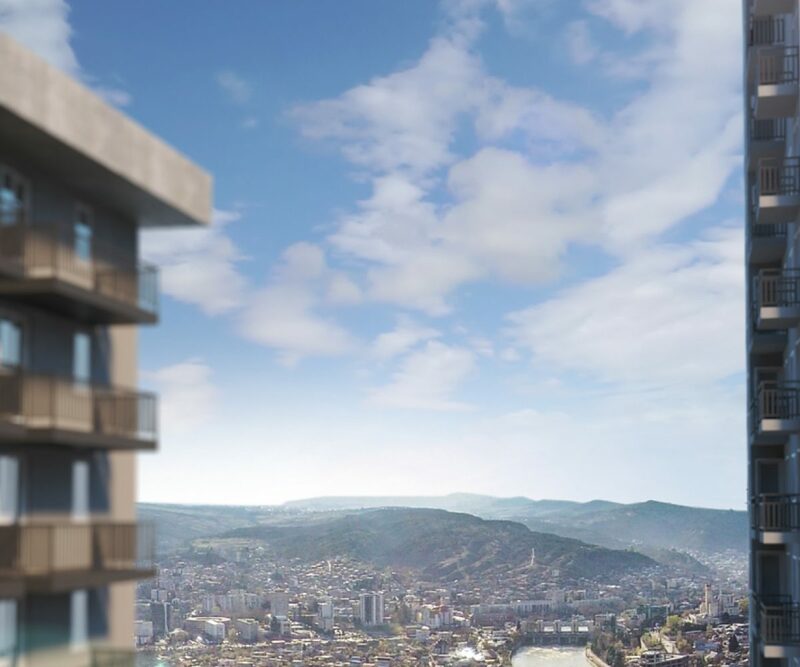 Such a tall building will tower over the other buildings in the area, which means that all apartments on the middle and high floors facing the front of the building will have spectacular views over the old city. 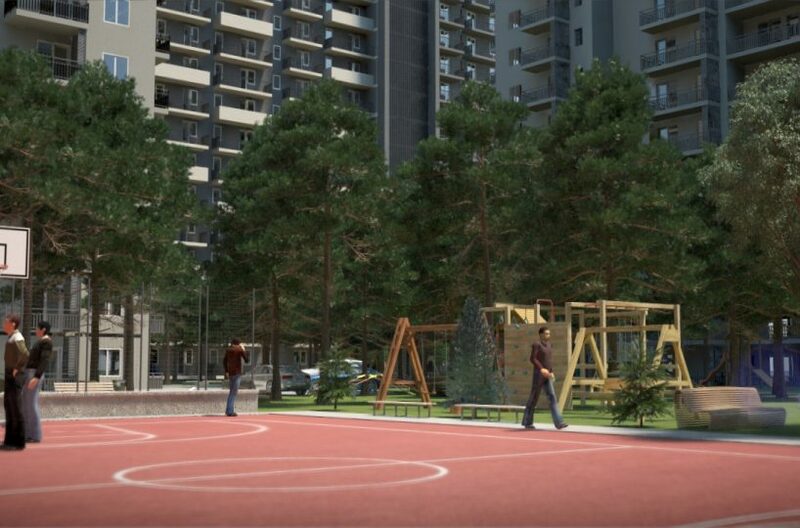 Despite the highly convenient location of Isani B and the on-site facilities which will become part of this multi-functional development, prices here are far from expensive. 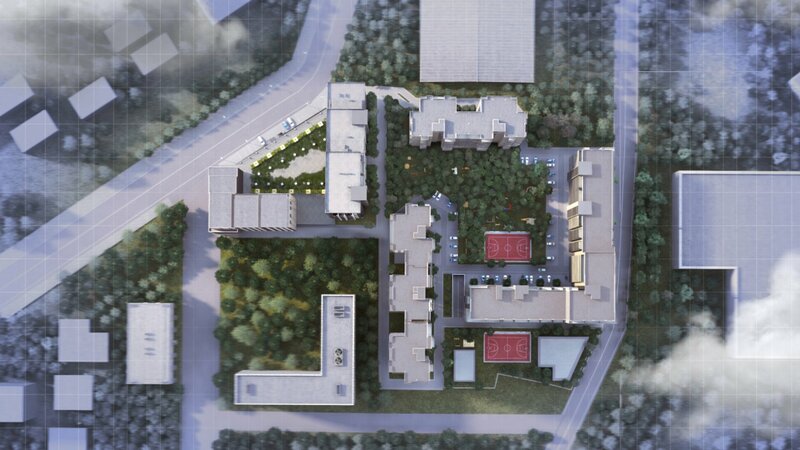 Prices here range from just $640/m2 to $705/m2 for apartment here delivered to ‘White Frame’ standard. 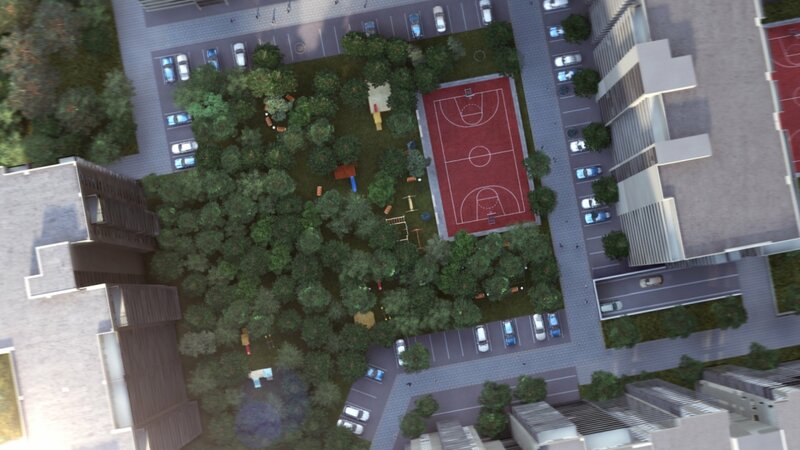 These will require finishing before they can be lived in, which will cost a minimum of $150/m2. 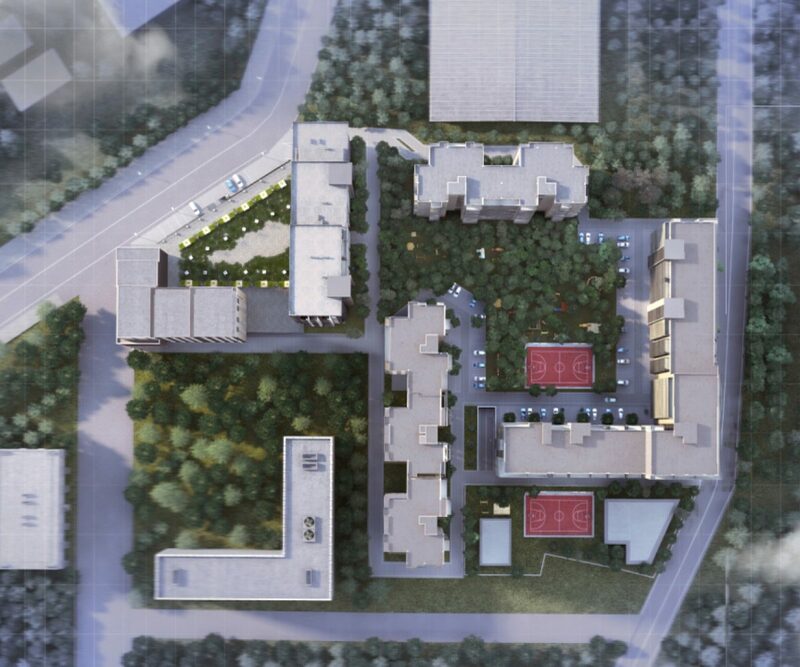 So, in total, finished apartments here are available from just $790/m2. 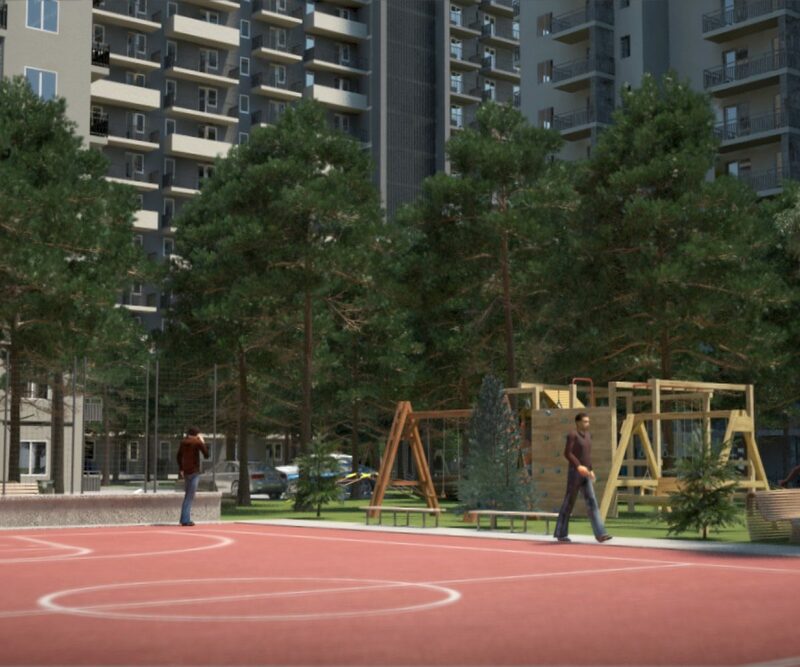 The standard payment terms for apartments at Isani B are 30% upon contract, with the remaining 70% payable in monthly installments throughout the few months remaining of the construction period. 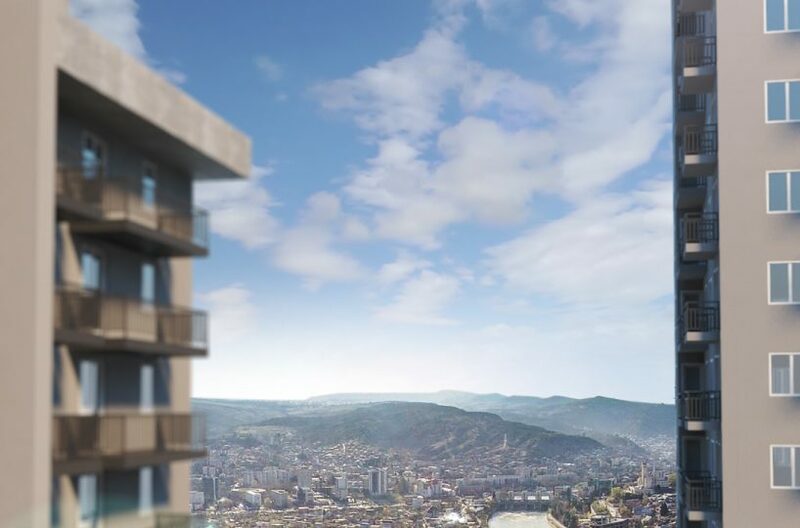 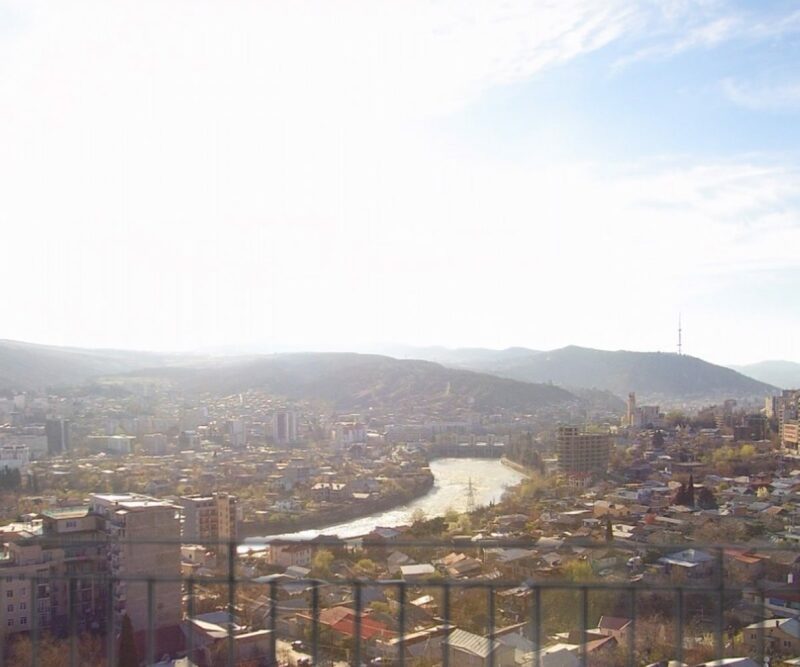 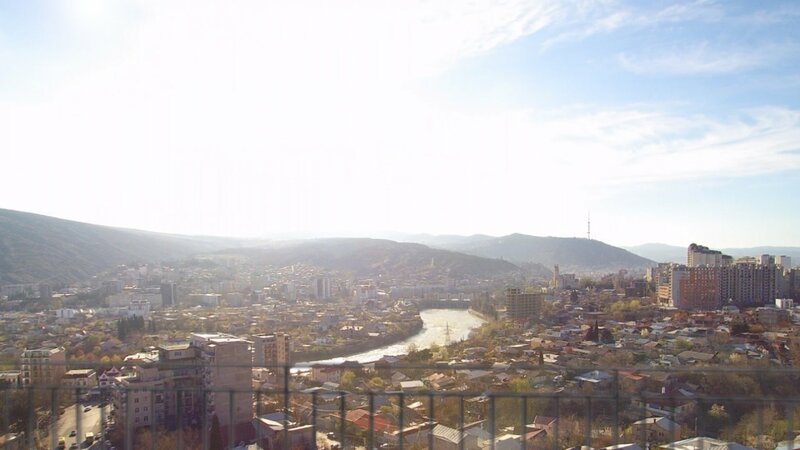 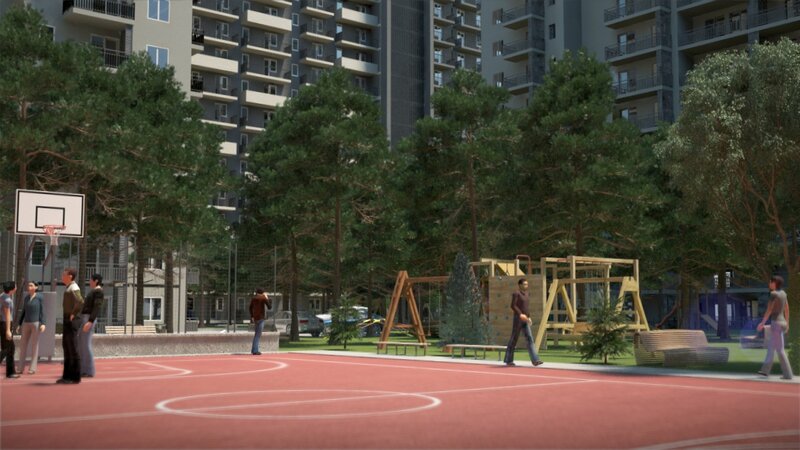 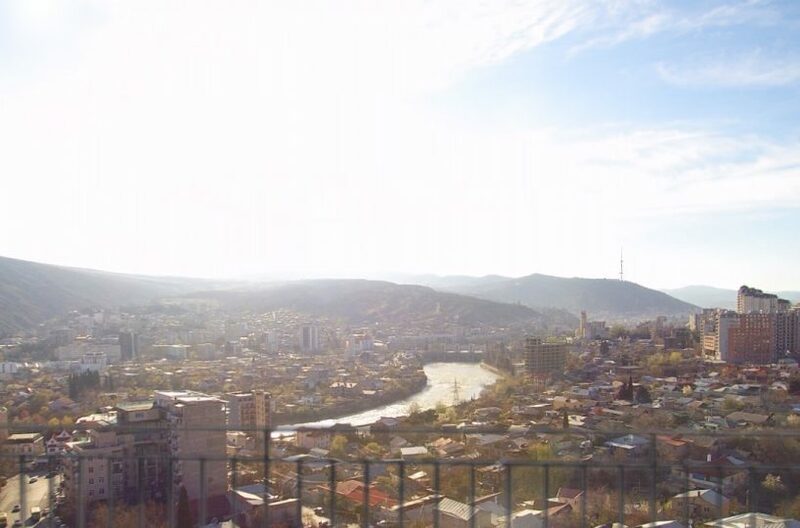 If these terms are still outside your reach, however, Isani B is one of the few projects in Tbilisi where it is possible for foreign buyers to obtain a home loan, via the developer’s partner, VTB Bank. 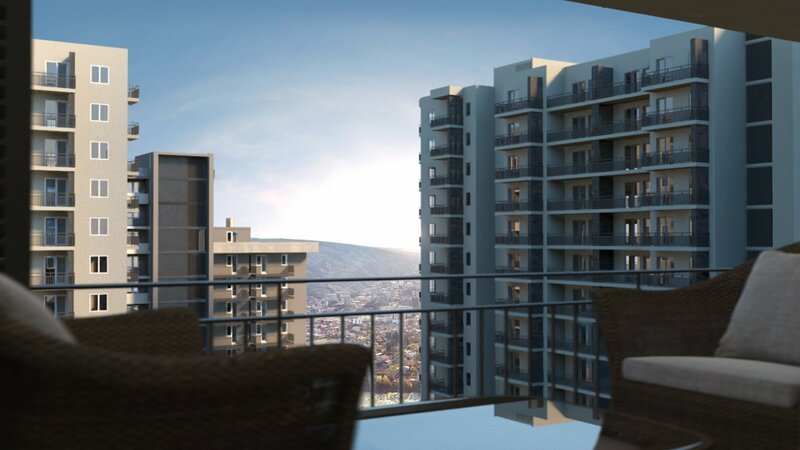 For those looking to buy an apartment on credit, terms would be 30% upon contract, with the remaining 70% paid over a 10-year period. 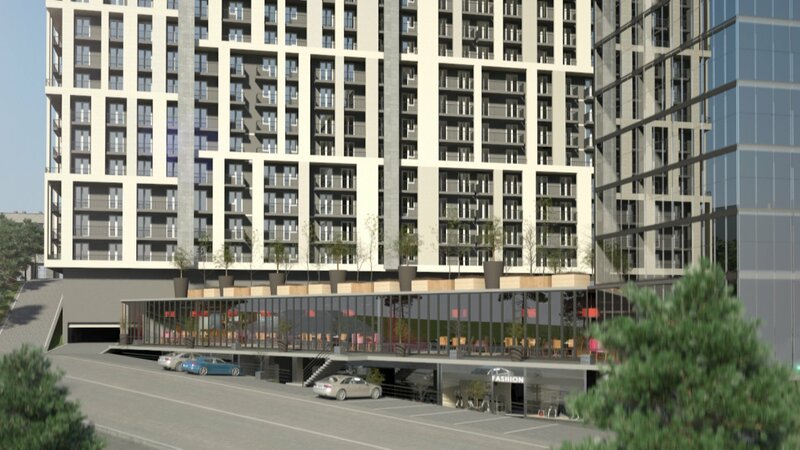 The current interest rate on USD loans is 10% per annum. 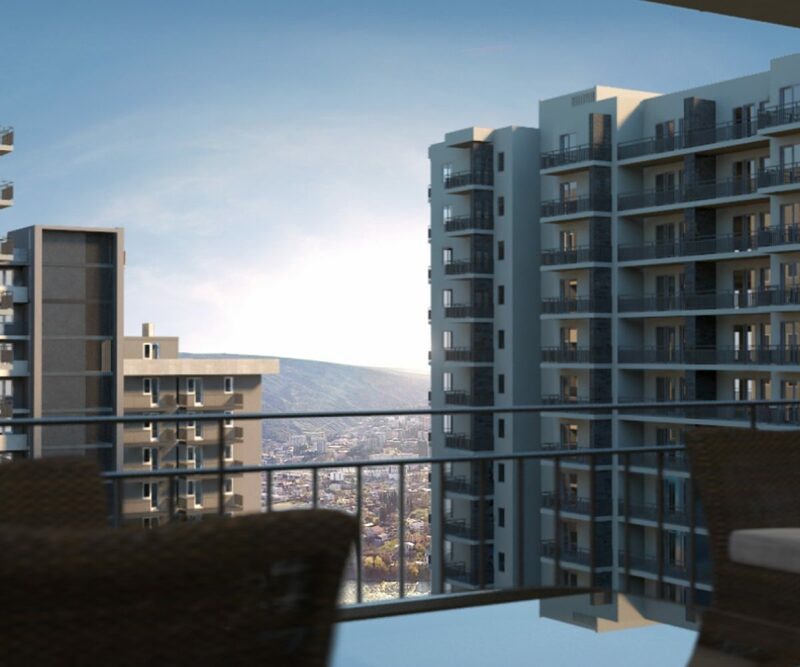 For buyers who are looking for an affordable apartment in a highly convenient location, just five minutes’ walk from a Metro station, then Isani B is surely the ideal choice.